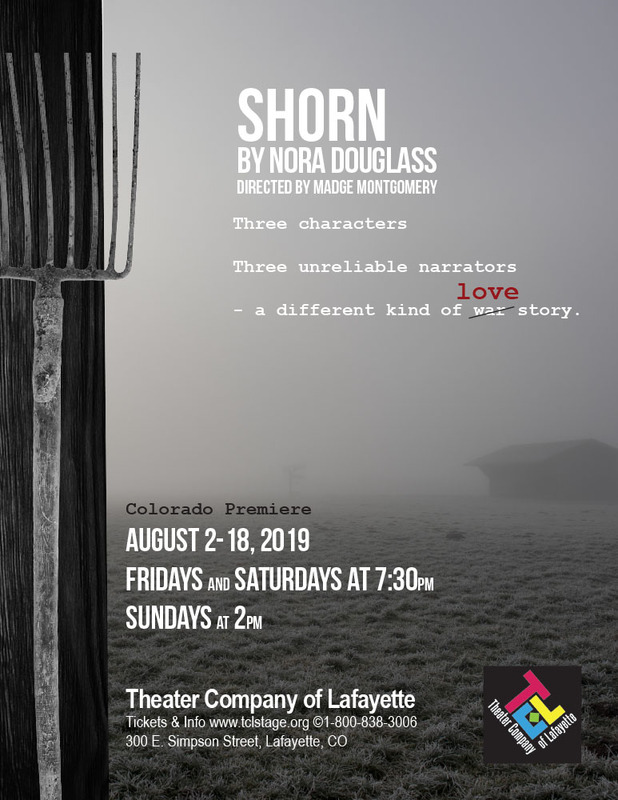 Shorn is a character driven piece about individual survival when the world is under siege. The location and time are indeterminate, but the characters are very recognizable. Lena, an older woman, has held onto to her scrubby piece of land even as a war rages on around her. She cares for a young man named August who is mute and appears to be profoundly impaired. Claire, a disgraced outcast, is dumped on Lena’s property after having her hair shorn by the women from a neighboring town. Claire proves to be a disruptor to the quiet life that Lena and August have built. Gradually, we discover that the characters hold many secrets, and nothing is quite as it seems. Though the play is poignant and deals with the ravages of war, it is quite funny in many places, with quick witted characters and some physical comedy. In the end though, the play is about the lies that we tell to protect ourselves from exterior and interior pain, and what is required to find truth and connection between deeply wounded people. The role of Lena has been cast. Headshot and Resume and a list of conflicts. No preparation required – cold readings from the script. To sign up for an audition: Click Here.